As we’ve reported, corporate leaders, from the largest companies to the smallest community banks, have recently become less optimistic about the economy in 2019. But what about consumers? It appears many of them share the same sentiment. Personal finance site WalletHub has released a survey of consumers, and it reveals that just over a third of them -- 34 percent -- are worried about maxing out their credit cards. That suggests two things; consumers racked up a lot of holiday purchases late last year that they have not begun to pay for. It also suggests that many consumers use their credit cards to get from one paycheck to another. The survey also found that 36 percent of consumers have maxed out their credit card while making a large purchase, and 12 percent have done so more than once. However, a “large purchase” is subject to interpretation. Eighteen percent consider a $1,000 expense to be a large purchase while 30 percent classify $100 as a large purchase. The survey found consumers are using their credit cards in different ways. The majority don’t fear maxing out their card because they pay off most or all of the balance each month. The study authors say this group uses their credit cards to reap rewards and can do so because they have stable employment and expenses. The study authors quote David Laibson, an economics professor at Harvard, as advising consumers who worry about maxing out their cards to pay with cash instead, calling it good financial discipline. The survey also found that maxing out credit cards appears to be a middle class problem. 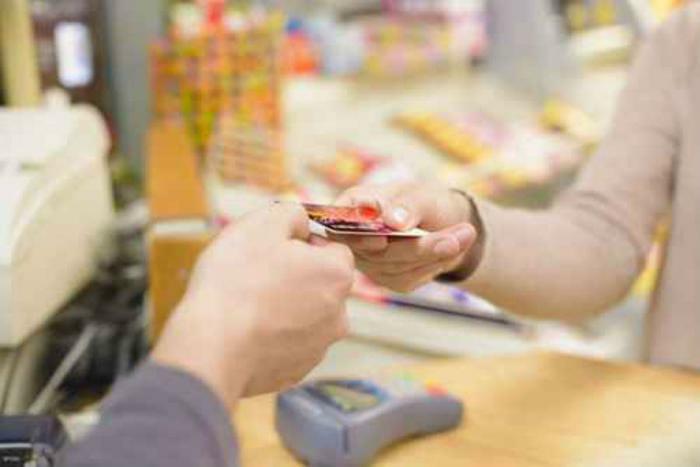 Low income consumers are more likely to pay with cash. Consumers who carry credit card balances may have reason to be concerned. The average credit card interest rate is over 17 percent and could go higher each time the Federal Reserve raises the federal funds rate. Richard E. Sylla, professor emeritus of economics at New York University, says rewards credit cards are great, but only if you have the income and the discipline to pay the balance in full each month. Otherwise, the interest on the debt will easily exceed any rewards you might reap.